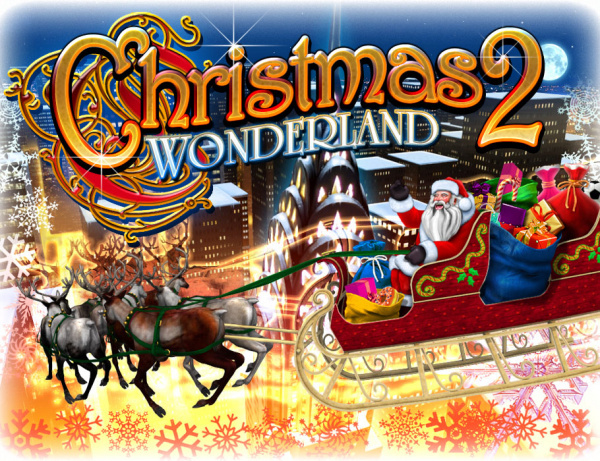 A textbook example of a sequel nobody asked for, Christmas Wonderland 2 has graced DSiWare. We guess, however, that we should be somewhat grateful. 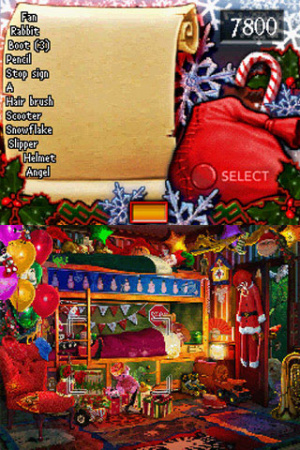 After all, last year Microvalue released two awful holiday-themed hidden object games: Halloween: Trick or Treat and the first Christmas Wonderland. This year it only left one lump of coal in our stockings so, relatively speaking, we got off easy. Reading the reviews of the two previous games will give you a good idea of how this one plays, as no attempt was made to address any of the issues that plagued them. Every level is a single, grainy piece of bland Christmas art, and you need to scroll around with the D-pad tapping the barely concealed though often unrecognisable hidden objects. 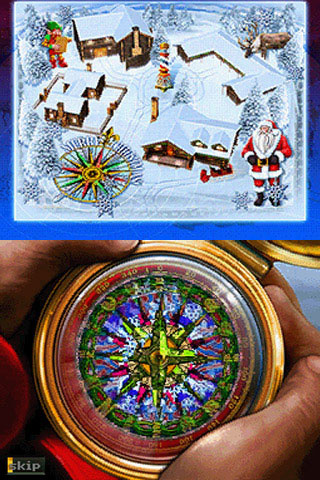 Tinny Christmas music loops annoyingly in the background, and between levels Santa Claus will appear for no reason and inform you that the next level will be exactly like the one you just completed. The cardinal sin of this game is the same as it was in the other two: the controls are simply broken. When a game requires a single, simple input in order to play it — a tap of the stylus in this case — you'd think the developers could at least take the time to code it properly. But no, you can — and will — tap the same object multiple times before the game even realises you've found it. We found this happening numerous times: Santa's list tells us to find an object. We find it, tap it, and nothing happens. So we tap again, and nothing continues to happen. We say some things that probably get our names inked on the naughty list for the year and scroll around looking for another version of the same object and fail. So we try tapping it again and then it works. Other times the objects simply aren't findable at all. For instance, there are candy cane bonus items hidden in each stage. If you tap them, you get bonus points. However we found candy canes that would not register as being found, no matter how many minutes we spent tapping them repeatedly. 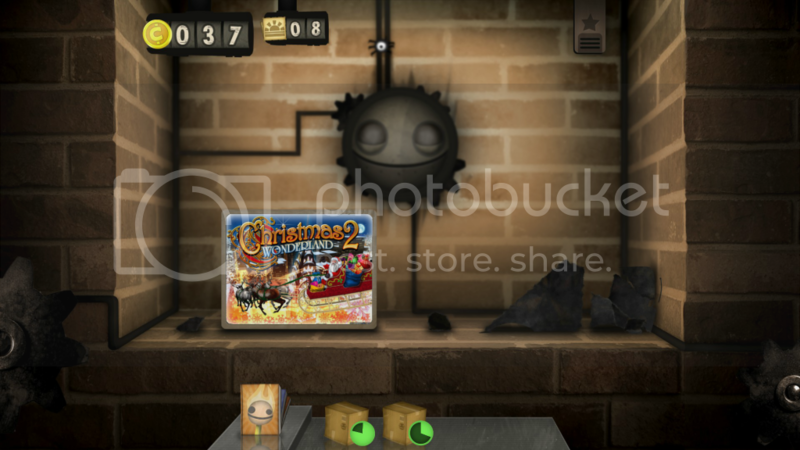 Christmas Wonderland 2 is a hidden objects game that doesn't respond when you find the objects. How that problem made it all the way through development without being addressed is beyond us. Between levels there are mini-games that consist of reassembling maps or matching flags with countries. You know, exactly what kids so love to do around the holidays. These are uniformly dull — when Santa tells you that helping him assemble a toy plane will be fun, he is lying to you — and there's no penalty for skipping them. That much is good, but the "skip" option doesn't become selectable for a good long while after the game starts, meaning it's often faster to just plow through the tedious misery than it is to jump ahead, rendering the feature somewhat useless. 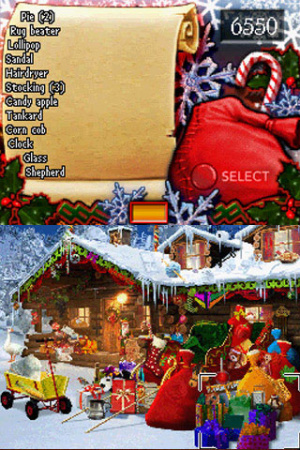 In addition to the aforementioned candy canes, you can also find pieces of a nativity scene scattered around the levels, which gives you one more thing you can tap while a MIDI version of "Rudolph the Red-Nosed Reindeer" loops and the game ignores you totally. The real insult here, though, is the price. Even if this worked — and it's an endless source of bafflement that it does not — it should be, at most, a quarter of its cost. Currently we're pretty sure this qualifies as extortion, and being swindled doesn't exactly put us in the Christmas spirit. Even fans of hidden object games should skip this one. The art is muddy, the music is terrible, and gestures as simple as the tapping of a stylus against the touch screen go unrecognised. This is one we won't feel bad about dismissing with a cold "Bah, humbug." 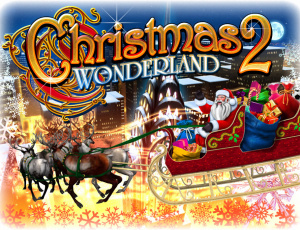 Christmas Wonderland 2 is awful. It's dull, poorly designed, unresponsive, and criminally overpriced. There's nothing here that you couldn't find in the first game, and that was a disappointing enough release as it was. Don't bother unwrapping this one... just take it right to the dump. What a better way to celebrate than to download this, burn the system, and cook chestnuts over the open fire. Ha, I thought the last line said "Don't bother unwrapping this one, just go take a dump"
Probably would be more fun. Hehe! Loving the score, much as expected! Christmas games are just as good as christmas movies. Christmas Nights being the only exception. This game changes Santa's "Ho, ho, ho" to "no, no, no." This game = that awkward fruit cake that nobody wants to eat. Thanks for sampling it for us so we wouldn't have to, @Chicken. How apt. So very little value. I think parents should be notified to download this on their kid's dsi or 3ds if he/she has been bad this year. What really irks me is that broken games like this get no doubt get more exposure and sales than my Christmas game for iPhone, Save Santi, which is actually well made, bug free and fun. Yet it's only made £22 so far for me. I wish I could program games for 3DS because at least my game would probably get previewed/reviewed on some decent sights like this. It's such an unfair world. Whoa! What a HORRIBLE chrismas game! Burn! Yeah! Burn it with combustible lemons! @barbiegurl777 Um...how in the world do you enjoy a game that is virtually unplayable...? Holiday video games are never good. @Jaz007 - I think you're on to something big. To think that someone actually spent time to make this goes beyond me. I can't think of anything to say, other than I'm never buying this pile of crap. With all of this talk of burning it, it makes me want to put it in my Little Inferno Entertainment Fireplace! @Gioku You, sir, are a genius. Ouch. That just looks TERRIBLE. Wow DSiware is getting Hammered. It's sad. Its bad that Nintendo would allow games this bad to the Eshop.